After the Allied victory at the Battles of the Nive on 9-12 December 1814 Wellington paused his offensive. He left the 18,000 British and Portuguese troops of the 1st and 5th Divisions and three independent brigades plus 16,000 Spaniards to besiege Bayonne under the command of Sir John Hope. This left him with a field army of 48,000 men. The French commander Marshal Nicolas Soult had 62,500 men, but 17,000 of them were at Bayonne and 3,500 more were garrisoning St Jean Pied-de-Port and Navarrenx, leaving him with a field army potentially 42,000 strong. Also on 23 February Hope ferried part of his corps across the Adour. The next day, the Allies, supported by Royal Navy boats on the Adour, completed construction of a pontoon bridge across the river. Bayonne was now surrounded. 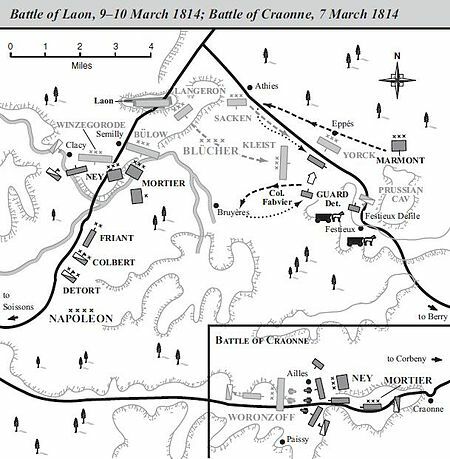 By 27 February Wellington’s army had crossed four defensible rivers and was facing Soult’s army across the River Gave de Pau at Orthez. Soult had about 36,000 men and 48 guns, with another division of 3,750 conscripts on the way to reinforce him. They were drawn up along an L shaped ridge, which ran a mile north from Orthez at right angles to the Gave de Pau before heading 3 miles west parallel to the river. Three smaller ridges extended from the main ridge to the river. The village of St Boes was situated at the western end of the ridge. Wellington had 43,000 men and 54 guns. 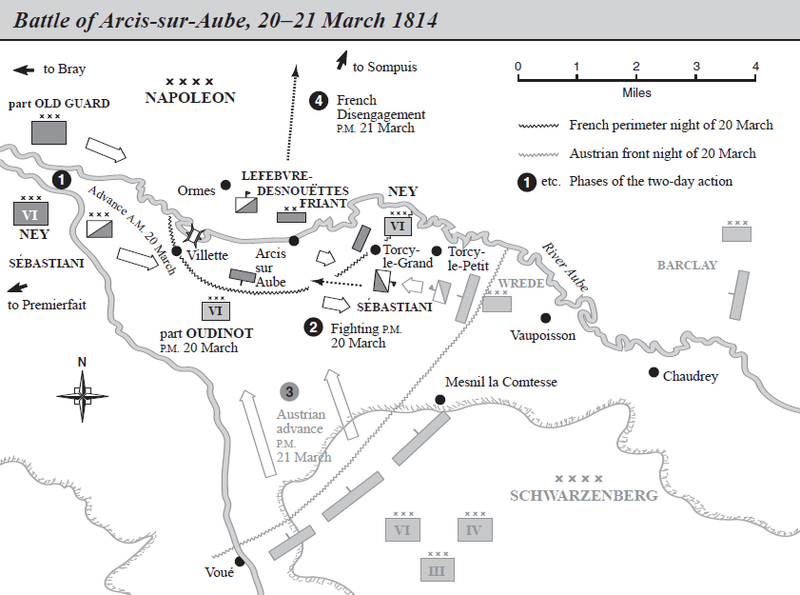 Early on 27 February five of his seven infantry divisions and most of his cavalry crossed the river. The 2nd and Le Cor’s Portuguese Divisions and some light cavalry under Sir Rowland Hill remained on the south bank at Orthez opposite the eastern end of the ridge. Hill’s orders were to skirmish and demonstrate at Orthez. He was not to cross the river there, but could cross further east if the attack in the west succeeded. The main assault, commanded by Lord Beresford, would be made at 8:30 am by the 4th Division, supported by the 7th, on St Boes from the western end of the ridge. Its intention was to turn the French western flank. 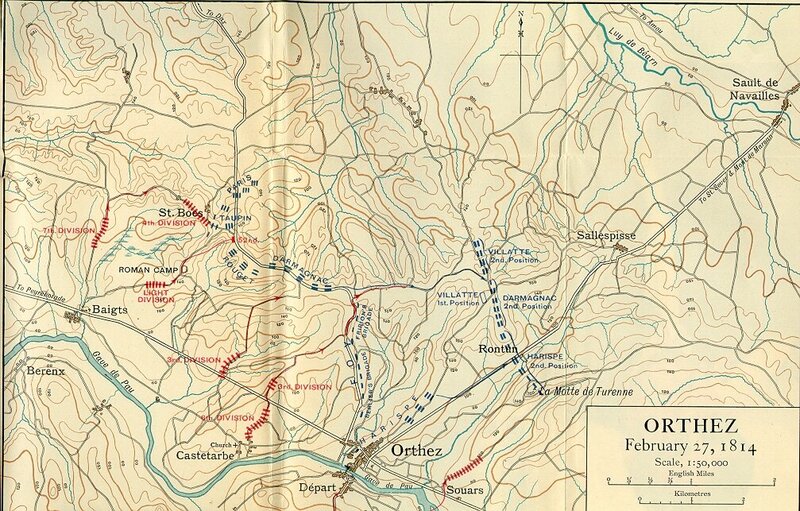 The French centre would be pinned by an attack by the Sir Thomas Picton’s 3rd Division along the most easterly and the centre of the three smaller ridges, supported by the 6th Division. The Light Division would take a ruined Roman Camp at the north end of the most westerly of the three lesser ridges, the only one that did not connect directly to the main ridge. Wellington would then direct operations from the Roman Camp. The attempt to turn the French right flank at St Boes failed, whilst Picton was halted just out of enemy artillery range. The Light Division took the Roman Camp. Wellington now changed his plan. The 3rd and 6th Divisions would launch a full scale assault rather than a pinning attack in the centre, the 7th Division would replace the 4th in the west and the 1/52nd (Oxfordshire) Battalion of the Light Division would attack the flank of the French troops defending St Boes. Only two British and three Portuguese battalions of the Light Division were left in reserve: two other British battalions of that division were not on the battlefield. The second attack started at 11:30 am. 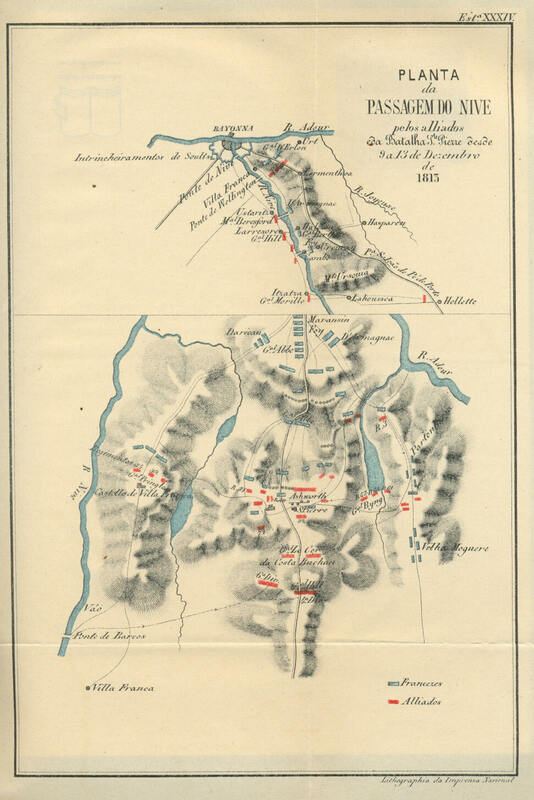 The co-ordinated assaults at St Boes and along the eastern and central less ridges all succeeded in breaking the French line, forcing Soult to order his army to retreat after two hours of fierce fighting. Hill took most of his corps two miles east to a ford across the river when he saw that the Allied attacks were succeeding. Jac Weller notes that the French had usually managed to successfully retreat after their defeats in the Peninsular. On this occasion they were helped by Wellington being wounded after a bullet hit the hilt of his sword, forcing it against his hip and thigh. He had more cavalry than Soult, which might have turned a victory into a rout had he been in a position to properly direct its pursuit, but Wellington’s wound meant that he could not keep up with the advance. Soult lost just over 4,000 men, including 1,350 prisoners: 1,060 of those captured came from units that covered the retreat. Wellington suffered 2,164 casualties: only 48 were from Hill’s corps. with fairly equal numbers in the field, passive defence is very helpless against an active offensive concentrated on certain limited points, unless the defender uses adequate reserves for counter-attacks. Wellington took ‘a considerable risk’ in his final assault, when he attacked five enemy divisions with five of his own, but he knew from past experience that Soult would not launch a counter-attack. J. Weller, Wellington in the Peninsula 1808-1814 (London: Greenhill, 1992), pp. 342, 363. C. W. C. Oman, A History of the Peninsular War, 7 vols. (Oxford: Clarendon Press, 1902-30). vol. xii, p. 355. Oman, Peninsular. vol. vii, pp. 372-73. Wellington’s army successfully crossed the River Nivelle on 10 November 1813. Marshal Nicolas Soult, the French commander, managed to retreat his troops to the River Nive, the next defensive line. Heavy rains delayed Wellington’s advance until early December. He had 36,000 British, 23,000 Portuguese and 4,000 Spanish infantry in France: Soult had slightly more men. Another 40,000 Spaniards had been left behind because Wellington feared that they would take revenge for the atrocities and privations inflicted on Spain by the French over the previous six years. This would cause the French civilian population to resist, guaranteeing the failure of Wellington’s invasion. our success, and everything, depends upon our moderation and justice, and upon the good conduct of our troops. I despair of the Spaniards. They are in so miserable a state, that it is really hardly fair to expect that they will refrain from plundering a beautiful country, into which they enter as conquerors; particularly adverting to the miseries which their own country has suffered from its invaders. Without any pay and food, they must plunder, and if they plunder, they will ruin us all. Wellington’s army was in a position where it was safer to advance than to remain stationary. It was in a narrow salient with the coast to its west, the Nive to its east and the River Adour to its north. The two rivers met at the city of Bayonne. Wellington’s plan was that part of his army, commanded by Sir Rowland Hill, would cross the Nive and advance on Bayonne. The rest of the army, under Sir John Hope, would remain on the west bank of the Nive and also advance north. The French had destroyed the bridges across the Nive south of Bayonne. However, there were three bridges in Bayonne, allowing Soult to concentrate his army against either Hill or Hope in an attempt to defeat the enemy in detail. Hill’s corps waded across the Nive at three fords near Cambo, meeting little resistance. Other Allied troops, commanded by Lord Beresford, crossed the Nive via a pontoon bridge further north. A bridge at Ustaritz was repaired, so the two corps could remain in contact with each other. Hope advanced to Bayonne, expecting the French to remain in their fortifications. At about 9:00 am on 10 December, however, a French attack from Bayonne took him by surprise. There were two roads heading south from Bayonne between the Nive and the sea. One headed diagonally towards the sea and then south close to the coast. The other, to Ustariz, remained close to the Nive. Widespread woods and marshes meant that most of the fighting was near the roads. The initial French attack along the coast road forced Hope’s pickets back three miles. Fierce fighting at a large farmhouse called the Chateau Barrouillet initially went badly for the Allies, who were outnumbered three to two. However, reinforcements arrived and stabilised the line. Both sides lost about 1,500 to 1,600 men killed, wounded and captured. Meanwhile on the Ustariz road the Light Division was forced to retreat two miles to a strong defensive position at the Chateau and Church of Arcangues. As well as the two buildings, there was a hill with hedges and stone walls at its summit and marshy ravines at both ends. The Allies were able to hold off the enemy, inflicting over 400 casualties for the loss of 225 of their own men. The French suffered slightly more casualties over the two actions, but they received a heavier blow in the evening. A German unit in French service, the Nassau Regiment, followed secret orders issued to its commander, General August von Kruse, by the Duke of Nassau after Napoleon’s defeat at Leipzig to defect to the Allies. Soult lost 1,400 men directly. He and Marshal Louis Gabriel Suchet, commanding French troops in north west Spain, decided that they must disband all their German units, totalling 3,000 men. Soult now switched his attention to Hill’s corps on the east bank of the Nive, which he attacked at St Pierre on 13 December. Rain had caused the Nive to rise, sweeping away the Allied pontoon bridge the day before. The Allied troops were at first pushed back in a bloody battle. However, once Hill learnt that reinforcements were on their way across the now repaired pontoon bridge he launched a counter-attack. The French were forced back to Bayonne. They lost 3,300 men killed, wounded and captured against 1,775 Allied casualties. Wellington was now able to put artillery on the south bank of the River Adour, stopping traffic along it to Bayonne. This made it impossible to supply both the population and Soult’s army. Consequently he withdrew most of his army from Bayonne on 14 December, although he left a garrison that did not surrender until 27 April, three weeks after Napoleon abdicated. Troop numbers are from J. Weller, Wellington in the Peninsula 1808-1814 (London: Greenhill, 1992), pp. 327-41. Quoted in Ibid. Footnote 1, p. 326. C. J. Esdaile, The Peninsular War: A New History (London: Allen Lane, 2002), p. 479.